Best LG TVs 2018 - HD, 4K and OLED | What Hi-Fi? When it comes to buying a new TV, it obviously pays to shop around. But if you've previously owned LG sets and want to stick with the same look and feel, then we have some excellent recommendations for you. LG makes some of the best 4K OLED TVs around, and these models from the 2017 and 2018 LG TV ranges are currently the best on sale. LG's most affordable OLED ever is brand new for 2018 and is one of the best-value TVs we've seen so far. The impressive user experience, combined with superb black levels and sensational colours make it a TV bargain not to be missed. Small but significant improvements make this 2018 LG OLED a superb all-rounder. This 2018 OLED isn't the final word in value, but it still looks the part, produces a stunning picture, and is a breeze to use. If you like the way it looks and the price is right, this could be the OLED TV for you. 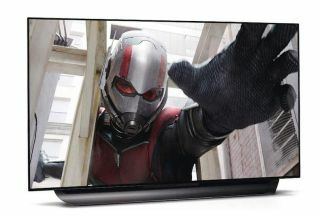 LG's wafer-thin 'Wallpaper' TV combines a breathtaking design with equally stunning picture quality. Yes, you have to pay a premium, but you might consider those show-stopping credentials worth every penny.